Come Sail Away — REGISTER TODAY FOR VBS 2018! 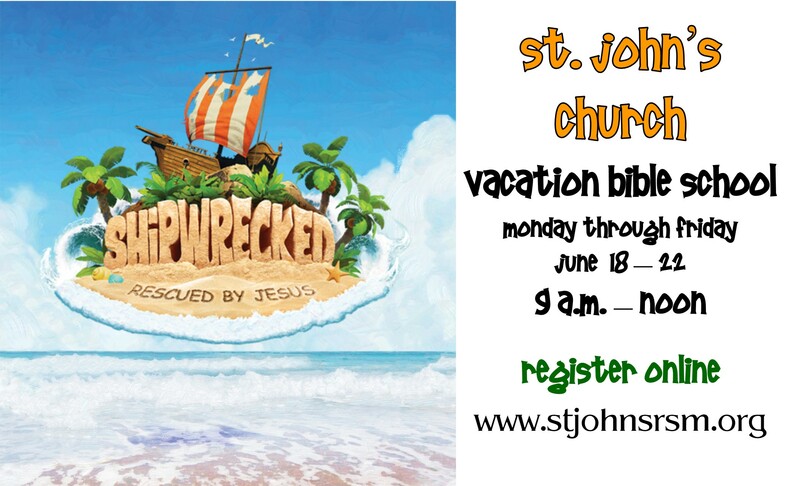 This year’s program — Shipwrecked: Rescued by Jesus — is set for Monday through Friday, June 18―22 from 9 a.m.-Noon. Vacation Bible School is open to children age 4 years old (as of May 1, 2018) through present 4th graders. Present 5th graders through young adults are invited to register as volunteer crew leaders. REGISTER HERE FOR VBS 2018!